From its humble beginnings as a makeshift gym-class diversion to its current status as one of the world’s most popular sports, basketball has grown and evolved in countless ways over the past 125 years. Here are some of the most significant ways the game has changed. 1. 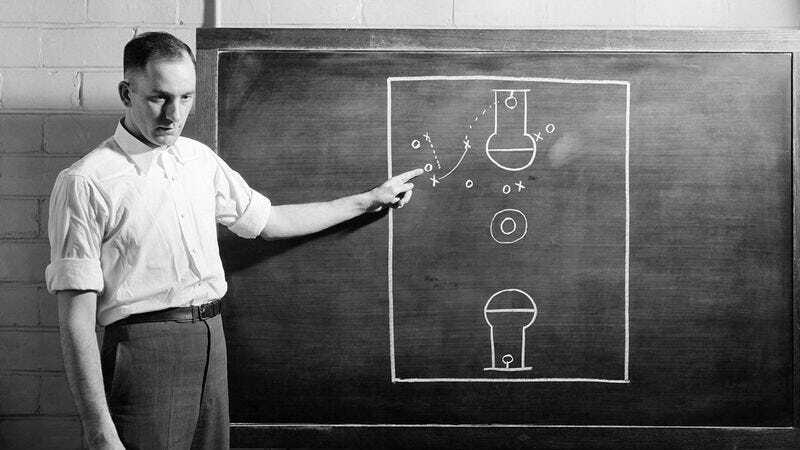 The score is no longer displayed with chicken bones: When James Naismith first taught his game to a group of young men at the Springfield YMCA in 1891, he had to improvise with the materials he had at his disposal. As a way of keeping score, he designated separate piles of chicken bones for each team, with each bone representing one point. Score continued to be tallied this way until 1987, when the modern scoreboard was finally adopted by the NBA. 2. The Roman Catholic Church no longer considers fouls to be sins: Up until the Second Vatican Council in 1959, any foul in a basketball game was considered to be an egregious sin. Now, players can rack up as many technicals as they want without risking the fires of Hell. 3. Players no longer need to continuously blow into the balls to keep them inflated: More advanced manufacturing techniques have produced basketballs that are sealed much better than they used to be, allowing players to save their energy for playing the game and not having to waste it on constantly huffing into the balls to keep them from going flat. 4. It is no longer unusual for a player to dunk so hard the scoreboard spins like a slot machine and starts spitting out coins: Believe it or not, if this happened in the 1930s it would be all over the news! These days, however, it can feel like it happens every single game. 5. Referees blow a whistle instead of squeezing a shrieking rat: In accordance with James Naismith’s original rulebook, refs were for many years required to hold a large, agitated rat at all times. Upon squeezing its bloated stomach, the rat would emit a deafening scream, putting a halt to play at the referee’s discretion. But during the ABA-NBA merger, the leagues agreed to discontinue this practice and start using whistles instead. 6. Players aren’t allowed to chop the other team’s free throws out of the air with a butcher’s knife anymore: Spatulas were eventually deemed safer, which is why today regulation NBA uniforms include a holster containing a spatula. 7. The position of center is no longer just a test for homosexuality: What began as a way for fathers to surround their sons with toned, agile young men as a means of gaining insight into their sexual leanings has over the years developed into a strategic position that values strength, height, and body mass. 8. Less milk on the court: Due to advancements in drainage technology, the amount of milk on the court has been reduced from an average of 17 inches in the early days of professional basketball to a barely noticeable film in 2017. 9. The coaches aren’t required to take a bath together at the end of each game: Up through the 1960s, basketball coaches were expected to take a hot bath together after games so they could put their win or loss behind them and ease tensions until their next matchup. Now, the same is accomplished with a handshake.